I've always considered myself lucky, and it may be part of my longevity that I grew up with my own sense of self worth and my own identity rather than relying on other people's opinions of me to form the foundation on which I've built my life. It's the end of an era for daytime television. Jeanne Cooper, who portrayed Katherine Chancellor on The Young and the Restless, passed away on May 8, 2013 at a Los Angeles hospital at the age of 84. For the past four decades, Jeanne had been a powerful presence on the popular soap. She joined the show in 1973, just six months after it began airing on CBS and earned ten Daytime Emmy Award nominations for her role. Her only win occurred in 2008. Wilma Jeanne Cooper, the youngest of the three children of Albert Troy Cooper and Sildeth Evelyn Moore, was born in Taft, California on October 25, 1928. She had a brother named Jack and a sister, Evelyn. Her parents were part Cherokee and their families worked in the Taft oil fields. Jeanne's mother died of uterine cancer when Jeanne was only 16 and her father eventually moved to Canada to work in the Alberta oil industry. He later remarried and relocated to Alaska to work in the oil fields there. Jeanne's original ambition was to be a New York stage actress. Her theatre friends, however, encouraged her to go to Hollywood instead They arranged for her to move to Los Angeles where she signed a contract with Universal Studios. Her first movie was The Redhead from Wyoming, a 1953 Western starring Maureen O'Hara. Jeanne played the role of a showgirl named Myra in the film. Cooper left Universal when the studio refused to raise her $250-a-week salary and found success in a relatively new medium known as television. In 1953, she made her first guest-starring performance on TV in The Adventures of Kit Carson. She played three different characters in three different episodes which were shot simultaneously. That was the beginning of a long and productive career on the small screen spanning five decades. Through the years Jeanne performed in numerous television shows, including some of the most classic ones such as The Twilight Zone, Wanted: Dead or Alive, Ben Casey, Marverick, The Big Valley, The Millionaire.and Death Valley Days. Her Twilight Zone appearance was in a 1959 episode entitled "Mr. Denton on Doomsday" (Season 1, Episode 3, Air Date: October 16, 1959). The episode, written by series creator Rod Serling, revolved around a town drunk in the Old West who was forced to confront his past. Jeanne played a woman named Liz Smith. Between 1958 and 1966, Jeanne appeared in five episodes of Perry Mason: "The Case of the Corresponding Corpse" (1958), "The Case of the Lucky Legs" (1959), "The Case of the Nervous Neighbor" (1964) and "The Case of the Vanishing Victim" (1966). She was a good friend of Barbara Hale who played Della Street on the series. Barbara's late husband, Bill Williams, played the title role on the Adventures of Kit Karson. Jeanne Cooper was also a close friend of Raymond Burr, the actor who portrayed Perry Mason. 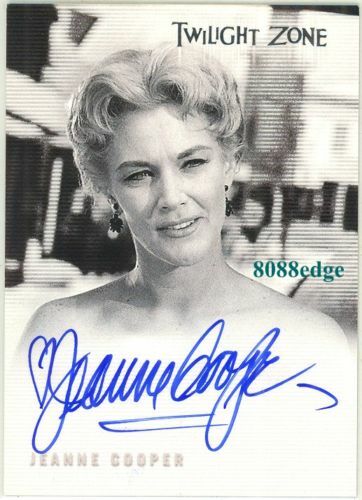 Between 1968 and 1973, she appeared in three episodes of Burr's other successful series, Ironside, in which he played Robert T. Ironside, a former San Francisco Police Department Chief of Detectives who was left paralyzed after being hit by a sniper's bullet. Jeanne's 1961 appearance on the medical drama Ben Casey earned her a Primetime Emmy nomination for Outstanding Performance in a Supporting Role by an Actress in a drama series. In the episode "But Linda Only Smiled" (Season 1, Episode 2, Air Date: October 9, 1961), she played Linda Miller, a woman who prevented Dr. Casey (Vince Edwards) from treating her daughter's serious illness because of her religious beliefs. In the early 1950s, Jeanne was introduced to Chicago-born Hollywood agent Harry Bernsen at a beach house dinner party. Although her family disliked Bernsen, Jeanne moved in with him On September 7, 1954, she gave birth to a son named Corbin Dean Bernsen. In 1955, when Corbin was one year old, Jeanne and Harry wed in a courthouse in Tijuana, Mexico. The wedding ceremony was brief and decidedly unromantic. It was just a matter of signing some legal documents. There were no rings, vows, flowers or music. There was no honeymoon either because Harry had to return to Los Angeles.for a business meeting. In Not Young, Still Restless, her 2012 autobiography with Lindsay Harrison, Jeanne writes, "Looking back, I can see with crystal clarity that I wasn't in love with Harry when I married him. If we hadn't had a child together I wouldn't have even considered it. But at the time, it seemed like the right thing to do, and I still had a tenuous grip on the belief that I could somehow be so supportive and so encouraging of Harry's best qualities that he'd become a man I could admire in spite of himself." The couple had two other children, a son, Collin (born March 30, 1958) and a daughter, Caren (born August 17, 1960). All three became actors and Cobin rose to television stardom as the womanizing lawyer Arnie Becker in L.A. Law. The Bernsen marriage was an unhappy one, at least for Jeanne. She and Harry separated in 1974 and divorced in 1977. It was a bitter breakup, fuelled by Harry's infidelities. Jeanne never remarried. As for Harry, he died of pneumonia on May 31, 2008 at the age of 82. In 1984, Jeanne Cooper had a face-lift and the actual procedure was incorporated into the storyline of The Young and the Restless. Viewers watched with interest as Katherine Chancellor underwent cosmetic surgery. Cameras were placed in the operating room and footage was shown of the procedure and its aftermath when Jeanne/Katherine had her bandages removed. By the way, the surgery was performed by world-renowned Beverly Hills plastic surgeon Dr. Harry Glassman, ex-husband of Dallas actress Victoria Principal. In Not Young, Still Restless, Jeanne comments on the "occasional eerie parallels" between Katherine Chancellor's life and her own. She says that never did she and Katherine "fall into perfect step more literally than in 1984" when she underwent cosmetic surgery. The "eerie parallels" continued in 2013 when Jeanne Cooper's real-life illness coincided with her character's illness. Y&R fans know that Mrs.Chancellor recently underwent brain surgery to have a benign tumour removed. She survived the operation and returned home. For awhile, Jeanne had been looking noticeably frail on screen and her voice had sounded weaker too. I wondered if she purposely appeared that way because her character was supposed to be ill. I watched Jeanne's final scene on the show (not knowing that it would be her final scene) and it was very poignant. The scene was filmed in March and it dealt with Katherine's return home after undergoing brain surgery. Noticing that she appeared tired, her housemate and former rival Jill Foster Abbott (Jess Walton) urged her to go upstairs to bed. As the frail Katherine walked slowly up the stairs, Jill asked her if she wanted some assistance and the proud matriarch typically refused Jill's offer. The look of worry and fear on Jill's face as she watched Katherine climb the stairs seemed like a premonition that both Katherine and Jeanne were nearing the end of their days. I could almost hear Jill thinking that the "old bat" wasn't going to be around much longer. TV Guide reported on May 13th that the role of Katherine Chancellor will not be recast. Thank goodness! Although Katherine Chancellor is a pivotal character on the soap, I don't think another actress should take over the role. It just wouldn't be right and I don't believe he show's fans would relish such a move. In October 2011, when Jeanne had to take a medical leave, her role was temporarily recast with veteran actress Michael Learned - Ma Walton herself. Jeanne returned to the show in December of 2011 and Learned did not play the part for long. There is, I think, a big difference between a temporary recasting and a permanent replacement. 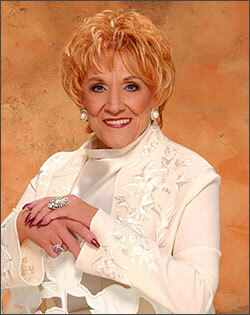 Jeanne Cooper was Katherine Chancellor for forty years. It would be a disservice to her memory if someone else assumed her role. As the portrayer of Mrs. Chancellor, Jeanne is irreplaceable. As for the Chancellor estate, it is a focal point in Genoa City, the fictional town where Y&R takes place/ Jill Foster Abbott (Jess Walton), and Mrs. Chancellor's longtime maid, Esther Valentine (Kate Linder), are familiar characters that audiences have watched for years. They should remain in the Chancellor home. CBS has announced that it will air a special hour-long tribute to Jeanne Cooper on May 28, 2013. The special will be filmed on the set of The Young and the Restless and family, friends and cast mates will share personal memories of the actress. Y&R clips and interviews will also be shown. The soap's executive producer, Jill Farren Phelps, told TV Guide that the fate of Katherine Chancellor is unlikely to be addressed before July. Known As Mrs. C. by many of her friends and associates, Katherine will be missed by many of the other characters on the show and her death will have huge implications for several of the residents of Genoa City. It will probably spark a battle for control of Chancellor Industries, the company left to Mrs.Chancellor by her late husband, Philip Chancellor II. In the meantime, Katherine's absence will attributed to a vacation with her current husband, Patrick Murphy (Michael Fairman). * In 1993, Jeanne won a star on Hollywood's Walk of Fame. She became the first daytime actor to be rewarded with the honour. In 2004, Jeanne received a Lifetime Achievement Emmy along with such other daytime luminaries as Rachel Ames (Audrey Hardy of General Hospital, Frances Reid (Alice Horton of Days of Our Lives), Don Hastings (Bob Huges) and Helen Wagner (Nancy Hughes) of As the World Turns and Ray MacDonnell (Joe Martin) and Ruth Warrick (Phoebe Tyler) of All My Children. 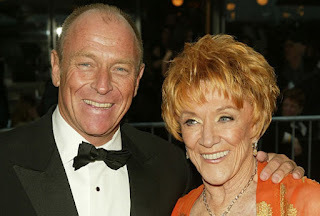 * Jeanne's son, Corbin Bernsen, has had an occasional role on The Young and the Restless as Father Todd Williams, a priest and the brother of Paul Williams (Doug Davidson). It is interesting to note that Corbin is scheduled to return as Father Todd. He will also be featured in the May 28th tribute to his mother. * Jeanne appeared in two episodes of L.A. Law with Corbin, one in 1986 and the other in 1990. She portrayed Arnie Becker's mother, Gladys Becker. For her performance in the first episode, "Fry Me to the Moon" (Season 1, Episode 10, Air Date: December 4, 1986), she was nominated for a Primetime Emmy Award in the category of Outstanding Guest Performer in a Drama Series. In the episode, Becker was caught between his parents who both want him to represent them in their divorce proceedings. The 1990 episode was entitled "The Last Gasp" (Season 4. Episode 22, Air Date: May 17, 1990).